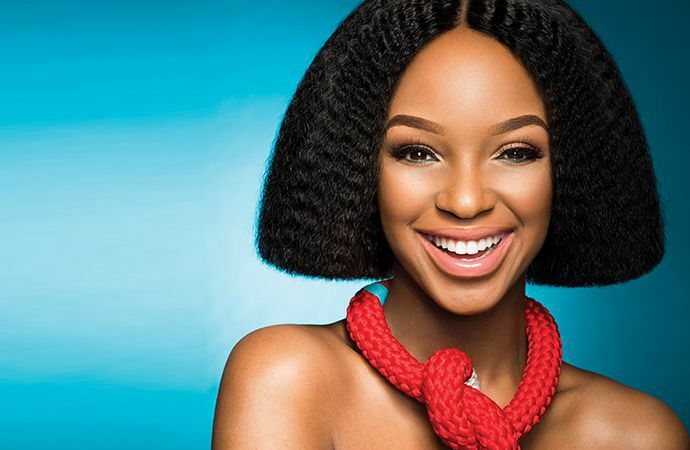 With less than a month to go till the first AFROPUNK in Africa on the 30th and 31st of December, AFROPUNK Joburg has announced that singer and TV personality Nandi Madida will host the event at Johannesburg’s Constitution Hill.The House of Martell Experience will bring festival goers a special experience and The AIDS Healthcare Foundation will collaborate with AFROPUNK on Activism Row. Just in time for AFROPUNK, Constitution Hill has launched a unique tourism collective: “I am Joburg”. On the 8th and 9th of December at Carfax in Newtown, eight bands will compete to be the next two finalists in The Battle Of The Bands powered by EDGE, that sees the winner performing at AFROPUNK. On the night Sho Madjozi, Rudeboyz and DJ Kenzhero will join the rising stars on stage. One brand new band will get the once in a lifetime chance to perform at AFROPUNK as a result of AFROPUNK The Battle of The Bands Powered by EDGE. The Soweto final was won by Automatic Live, while Pretoria’s victors were Rainbow Abomination. The next two semi -finals at Carfax on Gwi Gwi Mrwebi Street in Newtown will see PG_13, Stiff Pap, Obie Mavuso and Terai compete on Friday the 8th of December from 7pm with extra entertainment provided by Sho Madjozi and Gqom DJs Rudeboyz. On Saturday the 9th of December Ice Cream Shop, L8 ANTIQUE , Thami Mozolo and Melo B Jones will battle it out – DJs on the night will be DJ Kenzhero and K-$. Tickets are R10 and throughout the night there will be the chance to win a weekend pass to AFROPUNK Joburg at the end of the month. The AFROPUNKBattle Of The Bands final will take place on Saturday the 16th of December at Tembisa’s Easy Saturday Street Food Market at Mehlareng Stadium from 1pm. AFROPUNK, in partnership with Martell, will bring festival-goers The House of Martell Experience (H.O.M.E) – featuring an elevated viewing deck and direct views of the main stage where guests can enjoy the newly launched Martell VSSD, and other specialty cocktails. For 14 years, AFROPUNK has been defining culture with a mix of music, art and politics. The festival is a triumph of multiculturalism and diversity, and attendees will not only get to watch the best live -music artists from all over the world, they will also find food at Bites & Beats, an array of curated goods at the Spinthrift Market, and get involved with causes on Activism Row. AFROPUNK is excited to have The AIDS Healthcare Foundation (AHF) of Southern Africa as the presenting sponsor of Activism Row in JOBURG. Activism Row is an interactive, educational, site-specific installation featuring grassroots and nonprofit organizations that solve urgent community needs. With the help of nonprofits, organizations and social and political movements, Activism Row is an opportunity for young people to be informed about different civic participation. It also encourages festival-goers to make a difference in their community (and the world) by supporting social innovations. Since travellers from all over The World will be spending the festive season in JoBurg for AFROPUNK, it is fitting that in preparation for AFROPUNK, Constitution Hill has launched a unique tourism collective – — “I Am Joburg” — to engage both local and international festival -goers who will descend on the city. The websitewww.iamjoburg.africa is a curated collection of unique experiences and tours celebrating Johannesburg’s diverse cultures and people. From walking and cycling tours of Joburg’s iconic neighbourhoods, to unique culinary and cultural experiences, I Am Joburg is about celebrating the local and supporting Johannesburg’s local tourism and the creative entrepreneurs who make the city unique. I Am Joburg is founded on the premise that Johannesburg’s strongest asset is its people, and seeks to showcase the city’s diverse citizens. AFROPUNK has long been known as an advocate for cultural change and serving its primary audience. So even though its popularity has risen greatly, the festival continues an affordable paid- and earned-ticket program. The initiative, called AFROPUNK (AP) ARMY, is part of the AFROPUNK Global Initiative (AGI) and gives fans the opportunity to gain admittance to the iconic festival, in exchange for volunteer and community service. Any Nutickets ticketing queries can be addressed by calling 011 880 2199 or emailing info@nutickets.co.za. Edgars card holders will be able to buy tickets on their Edgars account. If you have an international card or do not have 3D secure then you’ll also need to ring Nutickets to process your transaction.